Wedcomp had some crazy talented judges this time around, and I’m very proud that they chose my work in each category. What a creative way to tell a story about guys getting ready (or not getting ready!) The bright yellow socks and the row of recliners are communicative and funny. The flips flops and pile of stuff on the floor are typical of the groomsmen’s rooms! Often, guys get to hang out while the bride and bridesmaids are scrambling to get ready. This photo says it all. I love when there is context to an image. Stepping outside of a situation and encapsulating the moment within the context it’s taking place is a wonderful thing. This image does this beautifully. If, perhaps, the maker could have waited a bit longer, perhaps a stronger moment could have been captured. Still, it has a terrific feel to it. Very Jeff Ascough like. 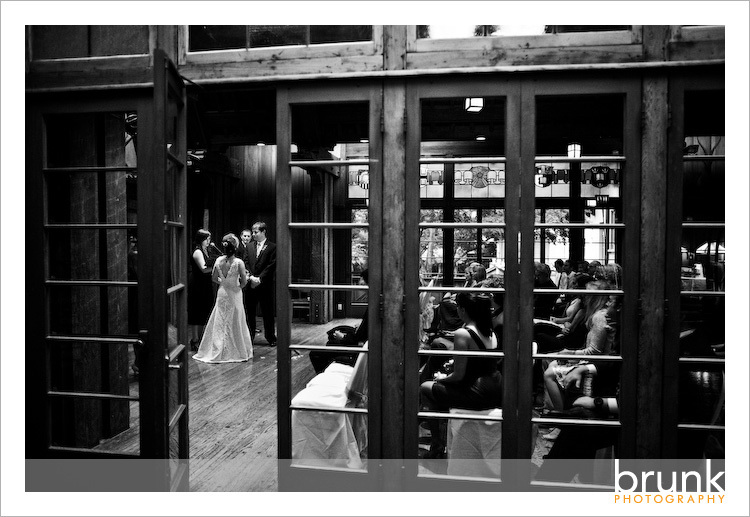 Thanks to the Wedcomp judges, and all of the fabulous couples in the images! Here’s a link to the complete results if you want to check them all out!